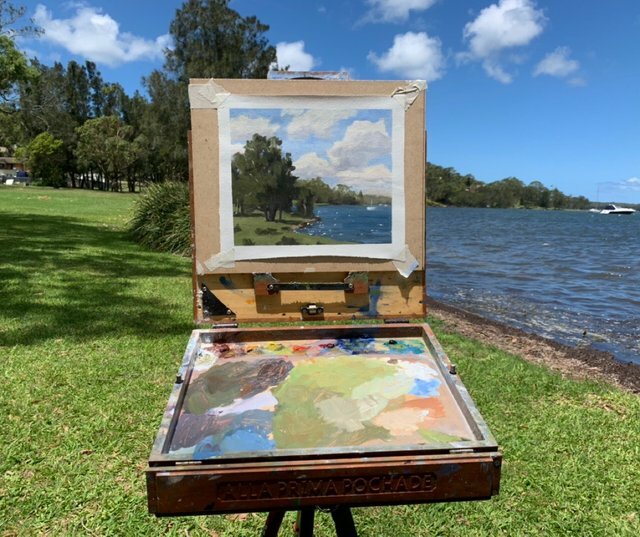 I painted this at the edge of Lake Macquarie in NSW, Australia. Lake Macquarie is a large coastal salt water lagoon. 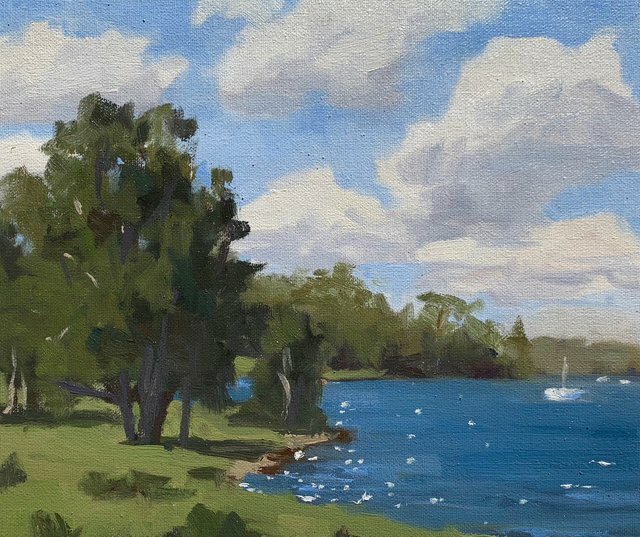 I love the sheoak and gum trees that surround the lake and the blue of the water. I painted this in oils. @samuel-earp-art You have received a 100% upvote from @steemconductor because this post did not use any bidbots and you have not used bidbots in the last 30 days!